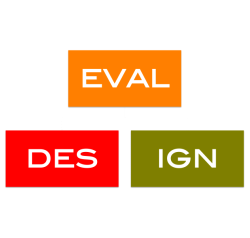 Evaldesign is a Research Consulting startup set up in 2013 with a focus on designing and implementing Impact Assessments for Development Sector programs. We provide research inputs that lend programs an intrinsic ability to capture high quality data for quick feedback and effective implementation. Our mission is to help donors, investors, governments and non-profits in the social sector innovate and implement programs by providing high quality consulting on designing project roll-outs in a manner that lends programs for effective data collection, quick feedback and impact evaluation in a cost-effective manner. We are looking for a Project Manager to work with Evaldesign full time. The Project Manager will be responsible for managing research projects for Education Evaluations. This includes liaising with clients, understanding research design in depth, onboarding vendors, managing internal teams, budget and grant management, grant and report writing etc. We need someone who thrives in chaos, lives for deadlines, is fantastic at multi-tasking and can basically figure out whatever it takes to get the job done! The applicant must preferably have a Masters’ degree from a top university plus at least two years of work experience in a related field. Managing teams and external stakeholders should come naturally to you. We do expect you to have a knowledge of evaluations, meticulousness to manage data and guide teams in best practices, the ability to solve problems on the go and be a highly motivating team builder. It is a bonus if you have had international work or study experience. We would like the selected candidate to start as soon as possible! • You get to see the end to end of large scale evaluations, both qualitative and quantitative! • It is a chance to make a difference! • You get to travel extensively! To apply, please complete the questions given below.